On a day in which the Pittsburgh Panthers (12-12, 2-9) tried to get another notch in the win column, they couldn’t get out of their own way early in the game. 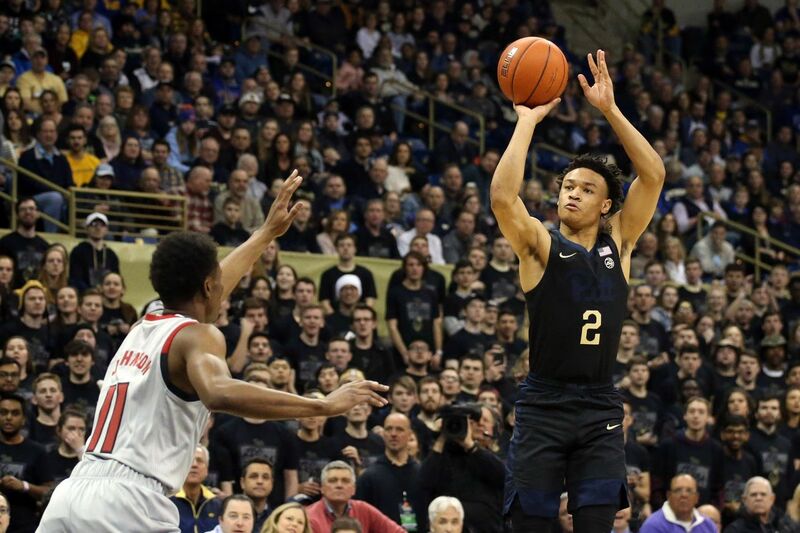 Despite an early 6-5 lead, Pitt turned the ball over on their next three possessions which allowed the North Carolina State Wolfpack (17-7, 5-6) to go on a 5-0 run. NC State looked to get some separation early until guard Jared Wilson-Frame drilled a step back three-pointer. Forward Terrell Brown followed that up by connecting on his second three-pointer of the season to tied the game at 14 all going into the under-12 media timeout. The Wolfpack hit the offensive glass, looking for second-chance opportunities. The Panthers looked to guard Xavier Johnson, and he delivered with his signature attack mentality. A pretty behind-the-back-wrap-around layup ignited the crowd and gave Pitt a 23-19 lead at the 8:15 mark. Both teams traded blows for the remainder of the half, neither team was able to take more than a two possession lead: The Panthers were up by as many as 4, while NC State never led by more than 6. The Wolfpack went into the half leading 41-38. NC State wasn’t satisfied with their one possession lead as they connected on their first three attempts in the second half, an 8-2 run and a 49-40 advantage. Head coach Jeff Capel took a quick timeout, but it only helped for a very short stint. The Wolfpack continued their onslaught from beyond the arc. By the under-16 media timeout, NC State had converted four, three-pointers, and had a 57-45 lead. It would be the upperclassmen for Pitt that would settle the team and right the ship. Guards Sidy N’Dir and Wilson-Frame that would help ignite a 16-2 run that gave the Panthers a brief 61-59 lead. In what became a half of runs, the Wolfpack answered with a 11-5 run of their own, powered by three makes from beyond the arc. Johnson led the way with a team-high 17 points, while all five starters reached double-figures. Wilson-Frame finished with 16 points on a very efficient 6-7 from the field, including 4-5 from long distance. The Wolfpack were led by the game-high 20 points from guard C.J. Bryce. As a team, they shot 14-27 (51.9%) on three-pointers for the game.